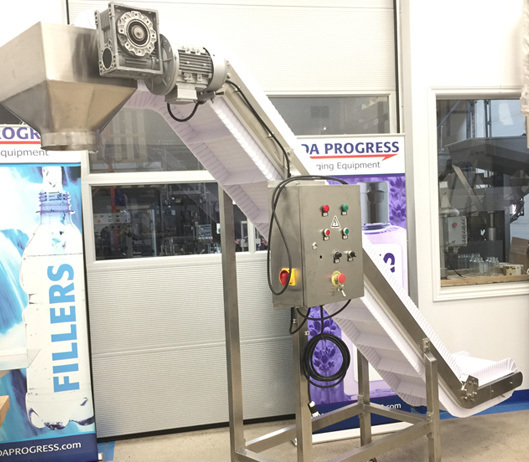 JDA Progress manufactures conveyors to accompany our liquid filling machines and packaging systems. 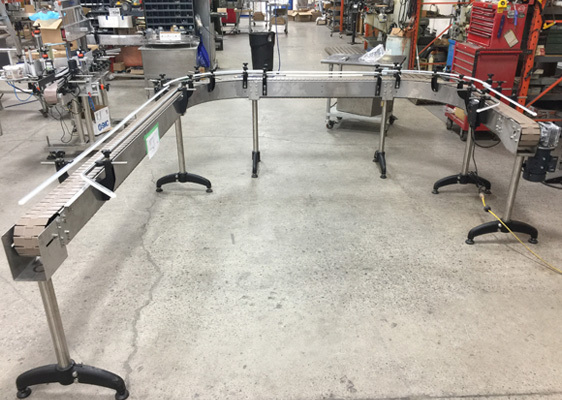 These conveyors will move your containers down the line for filling, capping, or labeling. All of our conveyor products adhere to the highest standards to ensure excellent productivity and low maintenance. They are also all customizable to your specifications. 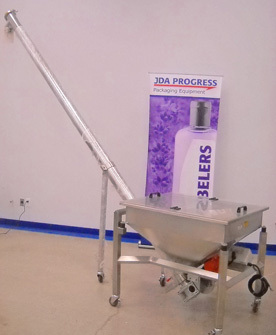 If you are looking to put together a liquid filling machine or packaging system, contact JDA today to get a quote. 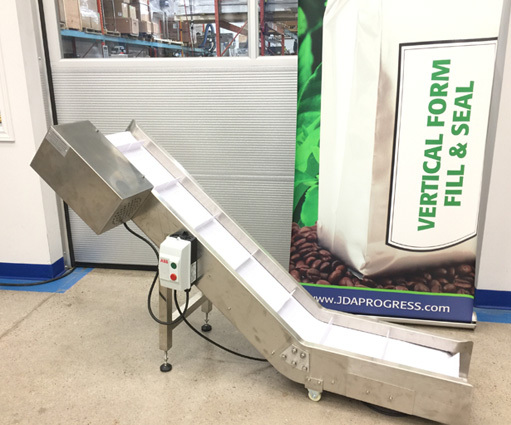 You are sure to get the highest quality conveyor on the market.